Light box free standing tower, features a sturdy construction and stylish design. Graphics are held under tension in acurved, eye-catching bubble position. This 2-part upright tower disassembles, allowing the unit to collapse into our popular, wheeled OCP case for easytransport. 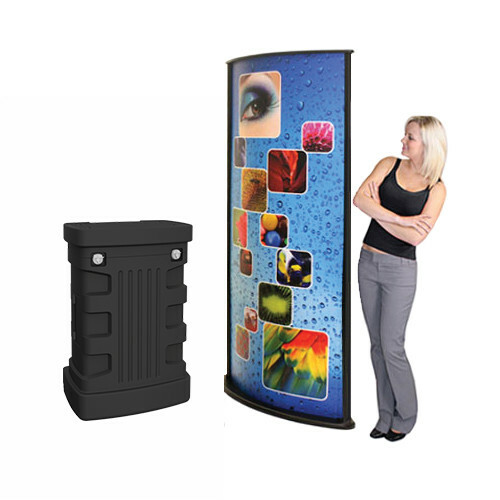 Free standing light boxes are perfect for trade shows and will give you a 360 degrees view impact! Free Standing Collapsible Tower Double Sided Stand Double-sided Sign Frame 6ft x 33in Display ..